Item Number: 358-53W 18071 Actual Weight: 3 lbs. 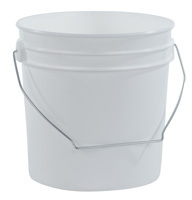 Nestable pail with taller height reduces spills. Reinforced ribs maintain container shape and provide stacking strength. 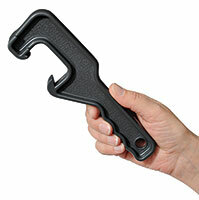 Metal swing handle makes lifting easy. Up to 190 degrees F hot fill capacity. Compatible for freezer applications. Meets FDA specifications for food contact.